Unlike Arab Countries to the south and east, Jordan has no oil of its own. Its resources are limited to phosphates and agricultural produce. The economy depends largely on services, tourism and foreign aid. Jordan prides itself on its health service, one of the best in the region. 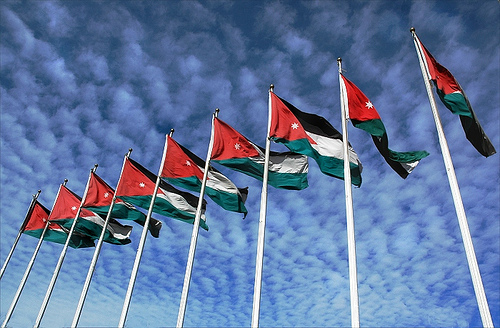 The population of Jordan has grown rapidly over the last fifty years or so to 6,081,541 million people. Around 70% of the population lives in urban areas, with 2,315,600 million living in the capital Amman. Local women in Jordan enjoy considerable freedom when compared with many other countries in the region. Women are entitled to a full education, they can vote, they can drive cars, and they often play significant roles in business and politics. The capital, Amman, is one of the most modern cities in the region. Business and the arts are thriving, nightlife is vibrant, and there are first-rate hotels, restaurants, galleries and shops, in addition to the mystique of old Amman. Beyond the city limits is where the adventure truly begins: the fertile Jordan Valley, desert hosting castles left over from the crusades, the haunting wilderness of Wadi Rum, Red Sea Coral reefs and Mae’n and other relaxing spas. The country’s most unique attraction is the stunning rock-carved city of Petra, a UNESCO World Heritage Site and one of the World 7 Wonders, which welcomes hundreds of thousands of visitors ever year. The Dead Sea , just 30 minutes drive from Amman but at 420m below sea level it is recognized as the ‘lowest point on earth’ and no visit to Jordan is complete without a ‘float’ in its mineral-enriched waters. Nature reserves are sprinkled throughout the country while Mount Nebo, where the prophet Moses looked out over the Promised Land, and the Baptism Site, where Jesus Christ was baptized in the Jordan River and the site of John the Baptist’s Church, annually attract visitors from five continents. Whether it’s an action packed adventure or a break at the beach touching clear turquoise waters in Aqaba, Jordan has something for everyone and has established itself as an amazing holiday retreat.